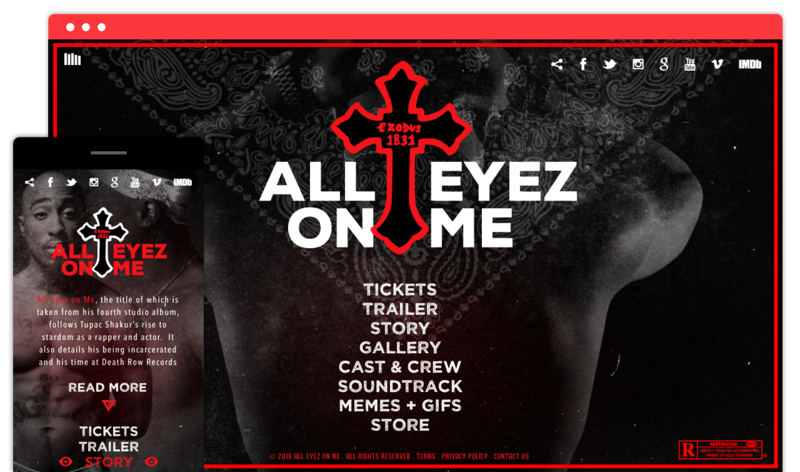 We were approached to build several key marketing elements and branding styles for the the new Tupac Shakur film: All Eyez On Me. This is a chronicle of the life of infamous west coast rapper Tupac Shakur. Arriving in theaters world wide in 2017.